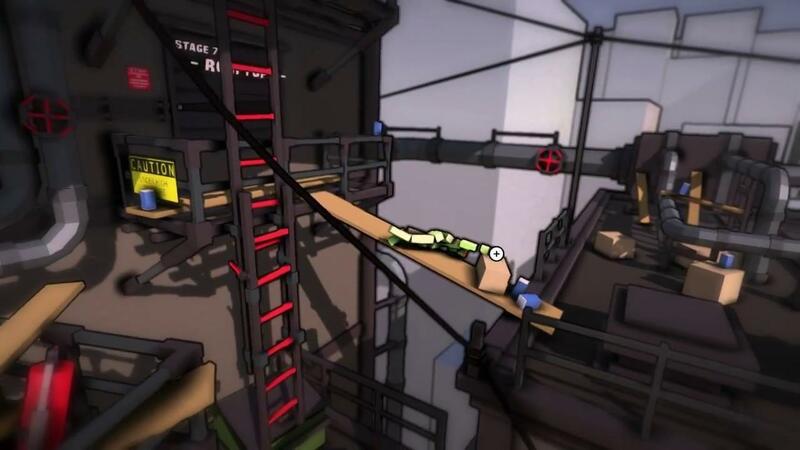 GOL contributor SangreDeReptil wrote about City Climber [Steam] coming to Linux last year and now this silly physics-based climbing game has a Linux release. I checked it out! The developer actually sent in a key a few days before release, so I've had a bit of time to sit down and see what all this silliness is about. I have to admit, I rather enjoyed this one! Honestly, I thought it would be a game that I would spend a few minutes in and never come back. It's nothing like I had imagined at all! It's well made, different to anything I've played recently and it has some really interesting level design. You will make your way up towers to try and rescue cats, crawl along the floor drunk and make your way out of a hospital with a broken leg. City Climber has it all. It only has partial controller support, but even so it was pretty fun to try with the Steam Controller. It actually works surprisingly well too if a little on the fiddly side at times, as you hold down a shoulder button to control each arm as you move it with the stick. You always need one arm attached to something, which is what makes it so interesting. One false move and it can be all over. It can be a little difficult to get the arm movement correct and you will end up in some rather hilarious positions quite often. I've found myself chuckling away at just how silly the gameplay is! It can also be a bit frustrating, as you power up a tower to grab onto something that comes away as you grab it forcing you to restart. That's part of the fun though, remembering what not to grab and trying to do it as quickly as possibly with the physics working against you. It can also be played in local two-player co-op, so bring your family along for the ride. If you like silly games and you like physics fun, be sure to try it out as I thoroughly enjoyed it. I fell a lot at the start, but eventually became a pretty slick climber. One issue I did encounter was that it repeatedly went onto my secondary screen, with no option to move it to my main screen. I challenge you to pick it up and attempt to beat my times, as I think I did reasonably well in most of it. I have yet to 100% it, as I'm stuck on the damn hospital level, but I will finish it for sure as the game is a little addictive. this one is lots of fun specially when you have some friends over and you all rage in the local multiplayer mode. This looks and sounds very similar to manipulating the robot, B.U.D., in Grow Home, which I just started last night, as it happens. It took a bit of time to get the knack of the reach-and-grab mechanic, and what seemed fiddly controls at first turned out to be a combination of me and my Steam Controller's config. Speaking of controls, I'm playing G.H. on the Steam Controller, and I found it much easier putting hand-grabs on the triggers, and switching the movement from the stick to the left pad. Maybe that would make it easier to control the guy in City Climber as well? I wishlisted and followed this game based on the wonderful art style alone. Now, having read your review, and coincidentally beginning G.H., it's clear to me that this will be a title to buy! For some reason it made me recall and miss the Katamari games! Man those were fun. Really big thanks for the article! Linux gaming community is awesome and very supportive!